How Do You Define Great Hospitality? Hospitality is a defining factor in the success of millions of businesses. Originating from the Latin word "hospes," which means "guest" or "host," it defines the relationship between a business and its customers. If you're considering pursuing a career in the hospitality industry, you might be wondering why good hospitality is so important. How do you define great hospitality? Let's take a closer look. One element of great hospitality is catering to customer's needs. Hotels, a common type of hospitality business, understand the importance of this. Hotels often have a front desk with a concierge who can provide guidance on local attractions, transportation, room amenities, and much more. If a guest wants a recommendation on which local attraction to visit, they may call the hotel's front desk to ask the concierge. Alternatively, guests may call the hotel's front desk to request additional towels, new bed linens, or even first-aid supplies. Great hospitality is catering to your customer's needs, whether it's a hotel, restaurant, cafe, or any other type of hospitality business. It takes more than just catering to a customer's needs to create great hospitality. Workers must also maintain a positive and friendly attitude while communicating with customers. When an employee has a negative attitude, it reflects poorly upon the business that they work for. Customers will assume that the business treats all of its customers this way, so they may be less likely to return in the future. A defining factor that separates successful hospitality businesses from their less-successful counterparts is that they go the extra mile for their customers. When a customer requests something, for example, they'll bring the customer the requested item as well as a related item. Because the customer wasn't expecting the second item, it shows that the business truly cares. After all, it's the little details that allow hospitality businesses to stand out from their competitors. Finally, creating great hospitality requires feedback from the business's customers. Forward-thinking hospitality businesses ask their customers about their experience so that they can have deeper insight into the quality of their services. If customers aren't satisfied with a particular service, the business can make the necessary changes to improve upon it. Great hospitality is simply providing customers with the best experience possible. Do you have what it takes to provide guests with a great hospitality experience? Want to learn more? 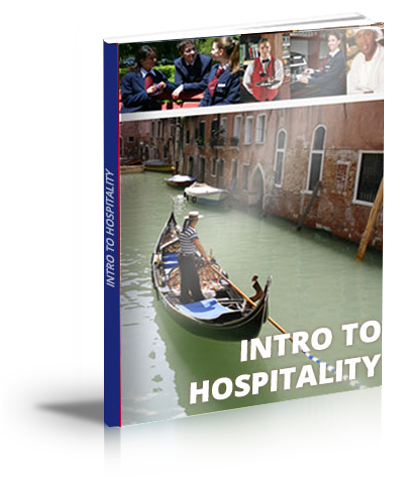 Click on this link for more information on our hospitality and business diploma programs.